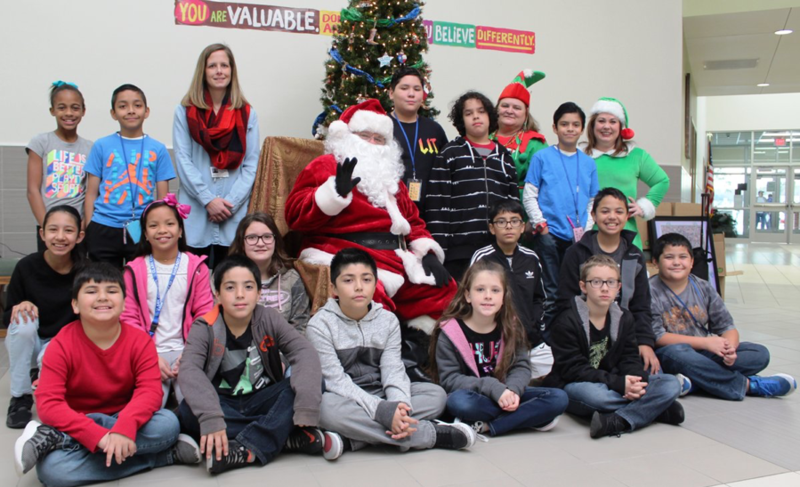 With many photos destroyed in the hurricane flooding, Santa took pictures with children our GCCISD Partner in Education Clark Elementary to help rebuild holiday albums. Covestro’s Santa and elves helped make it a memorable day at the school! 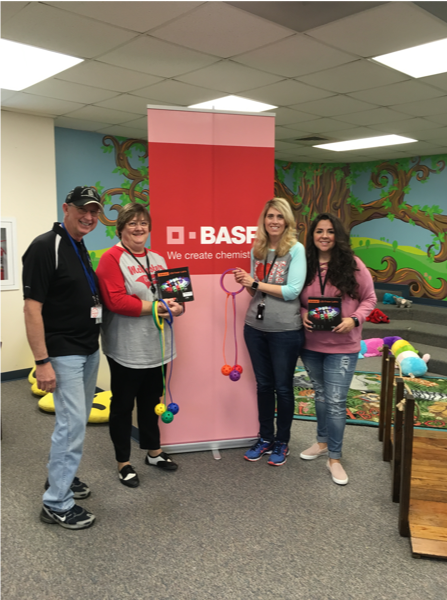 The BASF Pasadena site was proud to donate toys for McMaster Elementary’s Science Fair. These toys will be used as participatory awards for all students who entered a project in the science fair. 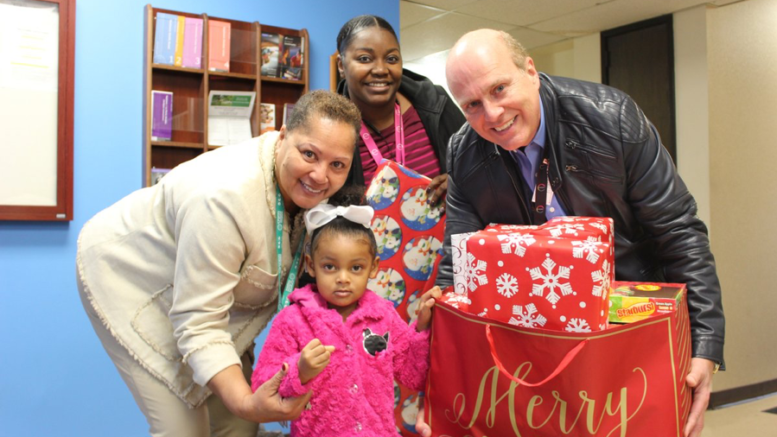 For 20 families, the Covestro Baytown facility brought the miracle of the season to children in the area. Each department adopted one or more families at the Baytown Resource and Assistance Center and the Promise Center of Baytown. Truckloads of toys, clothing and the joy of the season were delivered to the agencies the second week of December to bring the joy and laughter to the children in need. 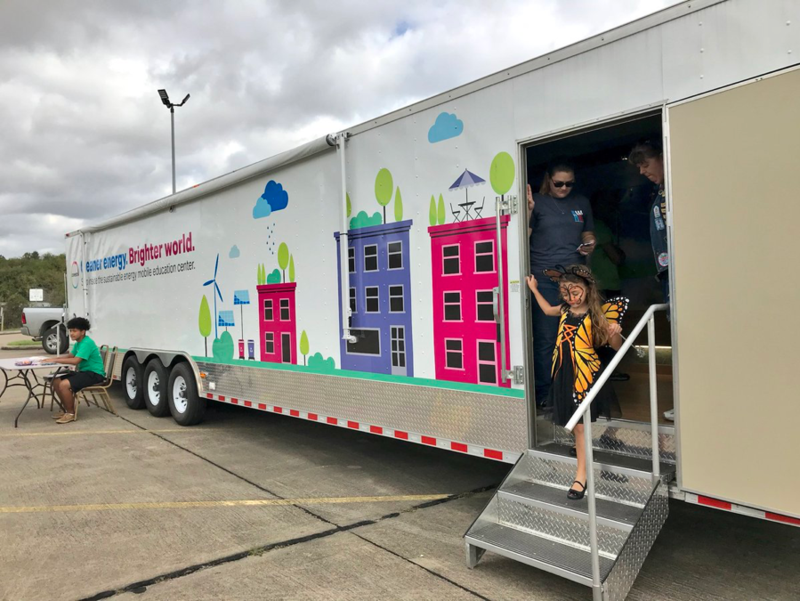 Paulina Carrillo, Executive Director of the Baytown Resource and Assistance Center, knows firsthand what these toys will mean for the children as her organization has assisted more than 3,000 families who were displaced by the hurricane. Chevron Phillips Chemical’s Pasadena facility hosted 20 bomb squad and SWAT team members from various agencies across the region for a tactical training class to practice breaching doorways. 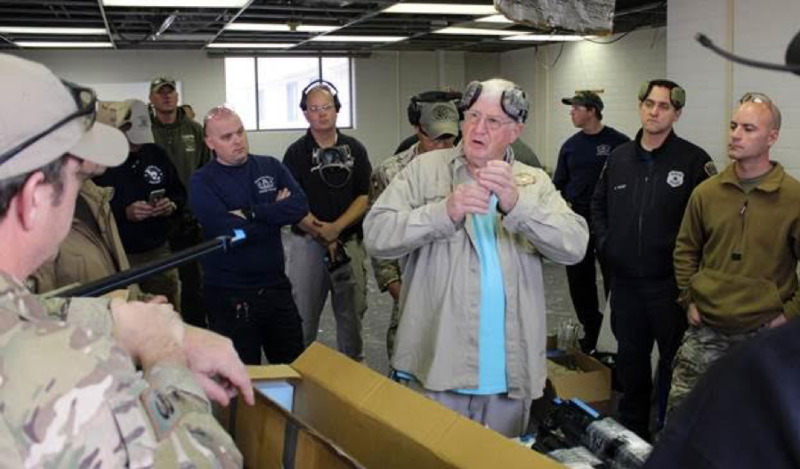 Officers from the Houston Police Department, Harris County Sheriff’s Office, Sugarland Police Department, and Charlotte, North Carolina, Police Department received training on the technical aspects behind failure mechanics and had the chance to apply these theories inside Pasadena’s former quality control lab and training center, which is scheduled for demolition, but offered more than 20 inside doors for the police officers to gain hands-on experience. 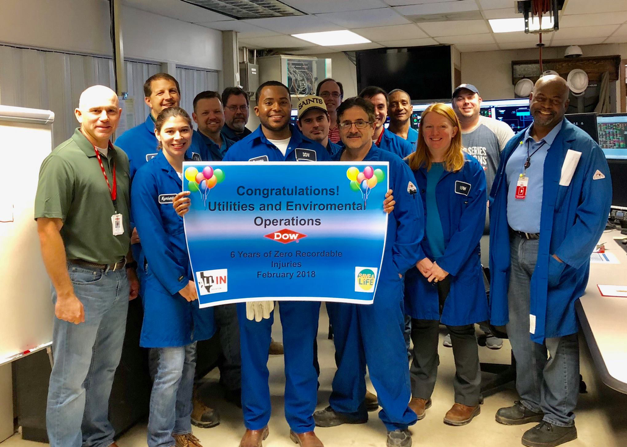 Dow’s Utilities & Environmental Operations celebrated six years of OSHA-free performance in February. This significant milestone was achieved by the team and its partners’ relentless focus on the Life Critical Standards and EH&S excellence, according to Production Leader Jerred Bellina. In January, INEOS Chocolate Bayou Works in Alvin hosted 10 UT Austin Engineering students at an externship event. 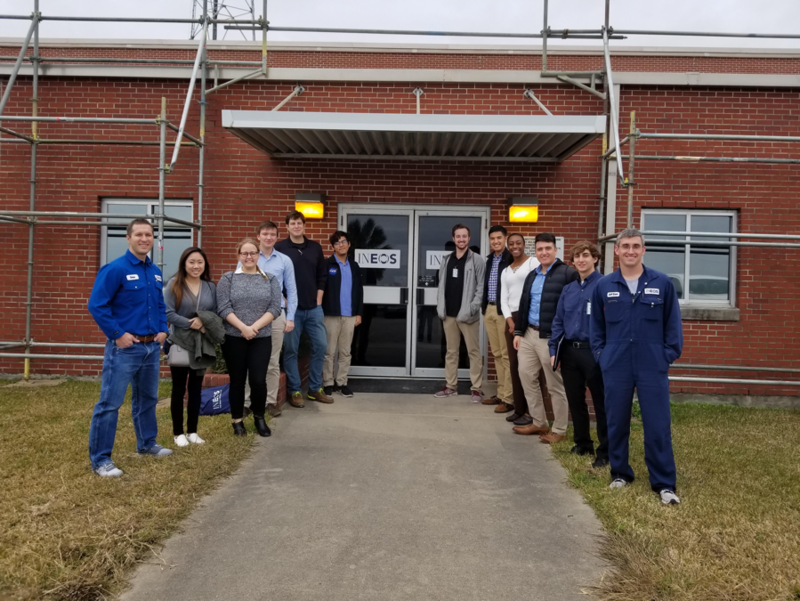 The students were given a plant tour, presentation, lunch and heard firsthand from fellow UT alum engineers about their path with INEOS and the world of petrochemicals. As a part of BASF’s collaborative efforts with Lee College and the Women in Manufacturing student group, BASF named Esoterica Kennerson as the winner for the Women in Manufacturing Scholarship and Internship at the December end-of-year banquet. Esoterica, a Baytown-based student, began her internship in January 2018, and received a $3,500 scholarship for tuition and books at Lee College. BASF started the Women in Manufacturing (WIM) group in 2017 at Lee College. To date, BASF has helped more than 50 Process Technician, Instrument and Analyzer Technician female students at Lee college with mentoring, internships and placement into local opportunities. Covestro teamed up with Lee College to help inspire young women from Goose Creek CISD and Dayton ISD to pursue careers in the STEM fields. More than 40 high school juniors and seniors spent the day in one of three tracks filled with hands-on activities. 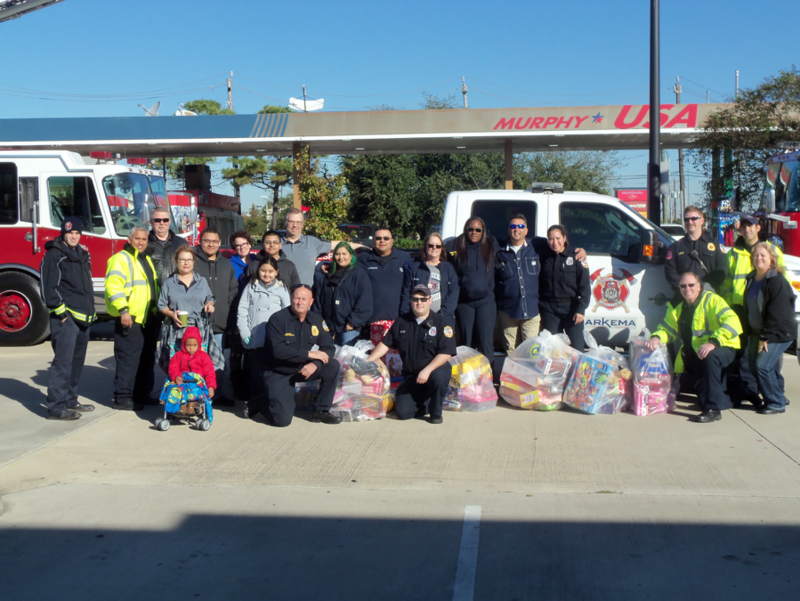 In December, the Arkema Houston site participated in the Annual Toys for Tots along with the Channelview and Cloverleaf Volunteer Fire Departments. During October, November and December, employees purchased new unwrapped toys to be distributed as Christmas gifts and send a message of hope to needy children in the North Channel area. 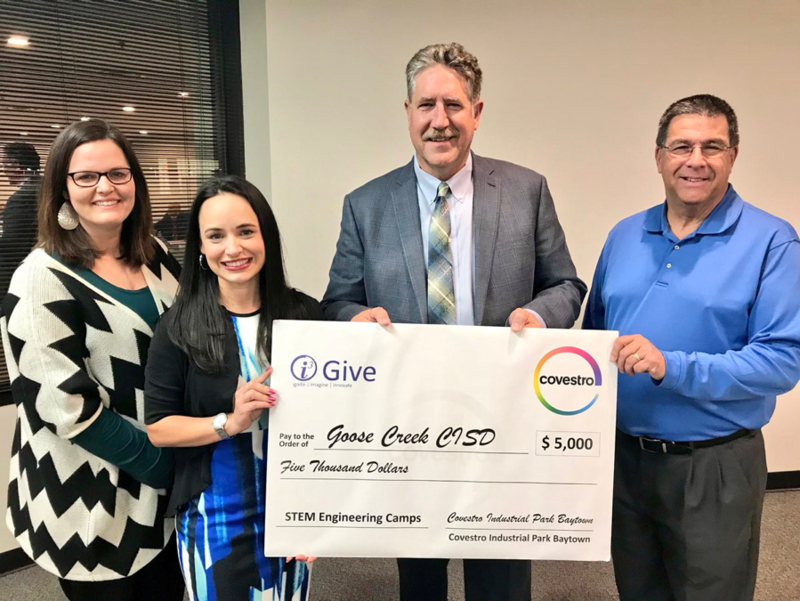 As part of Covestro’s i3 initiative, Covestro donated $5,000 to GCCISD’s STEM program to send students to summer engineering camps to inspire them to pursue careers in the field. Employees across TPC Group became Santa’s elves last holiday season by partnering with Rucker Elementary to make the season bright for some of the children in need. 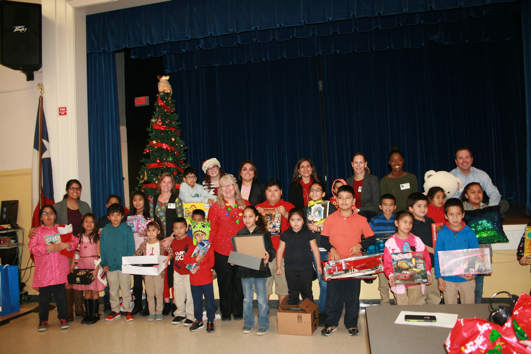 This year, employees purchased gifts for 30 kids from 18 families. 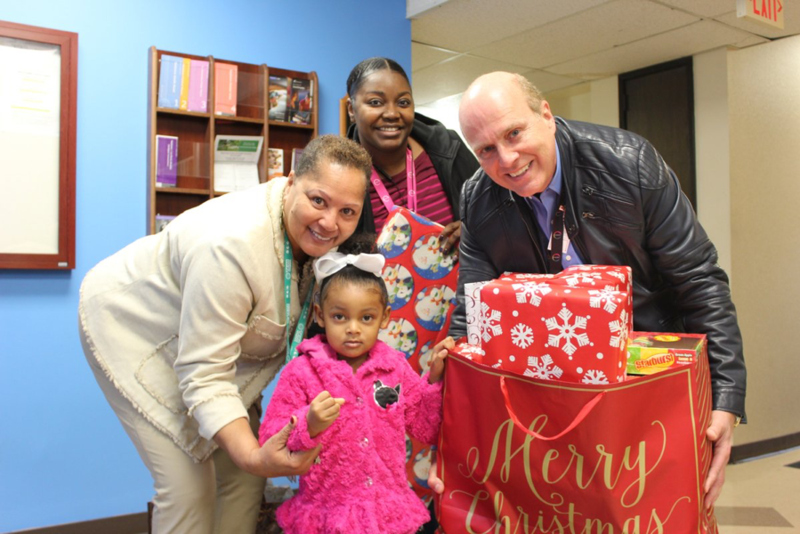 On December 12, there was a special delivery at Rucker and employees had the opportunity to interact with the kids, and their parents, as the gifts were opened. Dow’s Houston Hub hosted its Second Annual Contractor Banquet. Companies that were invited had no recordable injuries during their onsite work for the year. Awards were presented based on their man hours, incidents for the year, SNT attendance, SNTS attendance and HASC Attendance. Covestro employees collected 50 pairs of new shoes for GCCISD elementary schools Clark and Bowie for students that were displaced from Harvey. In addition, Covestro donated 73 pairs of shoes to the Bay Area Homeless Shelter. After Harvey passed, Mayor Wagner started receiving calls from some of our area industries, asking what they could do to help. And that is where the idea of the COPA Fund (Spanish for cup) began. Three EHCMA members contributed to this initiative, including Chevron Phillips, BASF and Air Products. 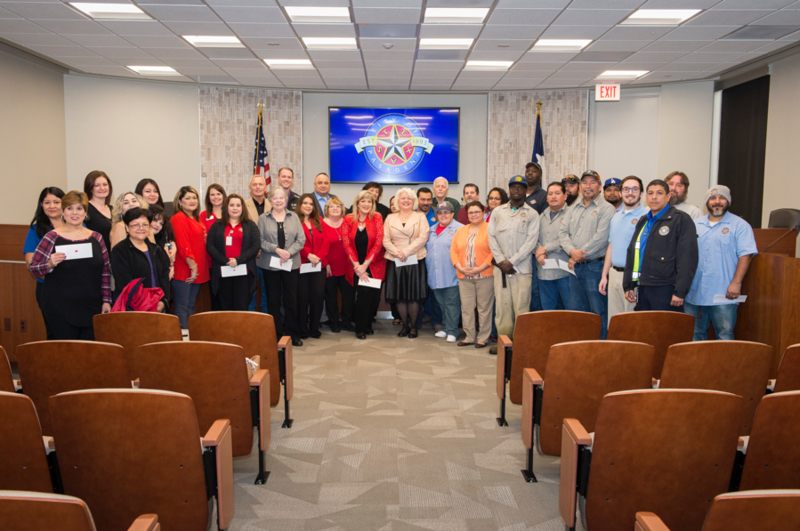 In all, 35 city employees received assistance through the COPA Fund. Covestro’s sustainability trailer made an appearance at the Gulf Coast Monarch Project’s Butterfly Bonanza. We support this non-profit in its mission to revitalize habitats of butterflies & bees. Covestro is a major sponsor of the non-profit that aims to raise awareness of the disappearing habitats for butterflies and bees. The non-profit participates in educational awareness, outreach and rebuilds habitats destroyed by construction, mowing or from natural disasters such as Hurricane Harvey. 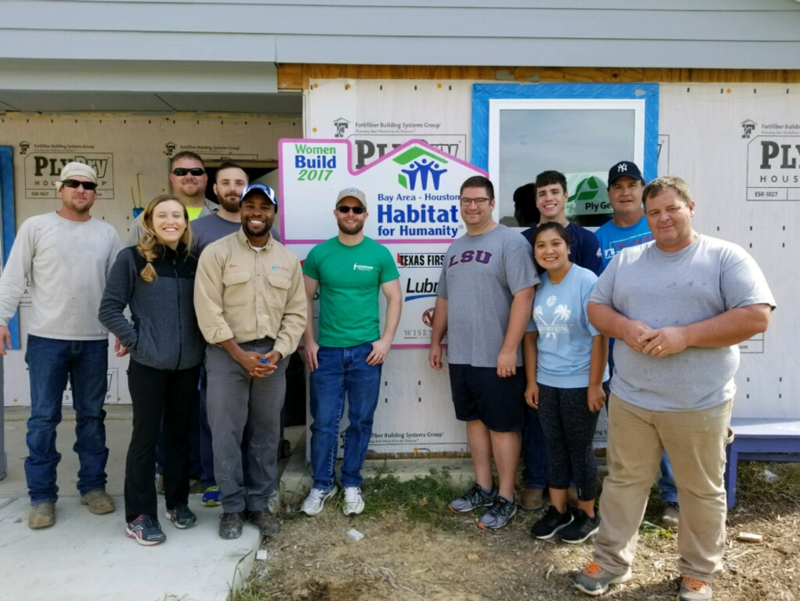 For two days in February, employees from the Bayport, Channelview and La Porte area volunteered to help paint a home built for a family with Habitat for Humanity. Habitat for Humanity partners with people and companies within the community to assist homeowners to achieve the strength, stability and independence needed through affordable housing. 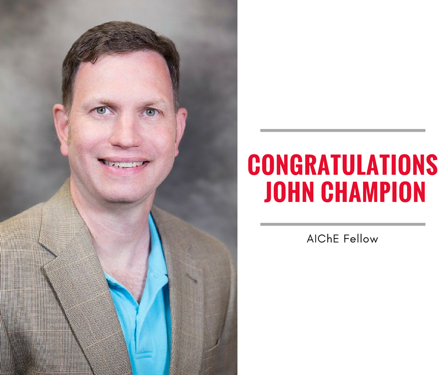 John Champion was selected as Process Safety Technology Leader in the Monomers Technology Center, as a Fellow of the American Institute of Chemical Engineers (AIChE) thanks to a distinguished record of developing safety expertise within Dow and sharing that expertise with the industry to benefit society. Champion, based with Dow in Deer Park, will be introduced as a Fellow on April 24 during the AIChE Fellows Breakfast at the Spring National Meeting in Orlando, FL. 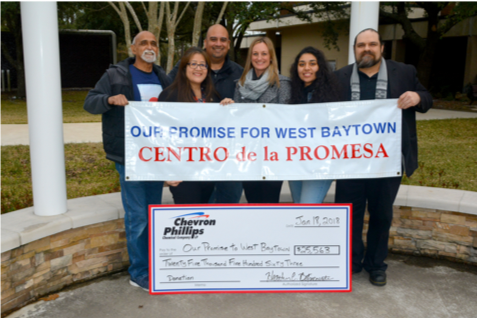 Employees and contractors at Chevron Phillips Chemical’s Baytown facility recently donated $45,000 to two local charities – Barbers Hill ISD Scholarship Association and Our Promise for West Baytown. The donation came from proceeds collected at the plant’s annual golf tournament, which is funded and organized by the employees and contractors of the plant. In December, INEOS Chocolate Bayou Works in Alvin visited with students at Hitchcock HS for Project Hope, a local STEM outreach event to get students thinking about their future. HR, maintenance techs, engineers, operators and trainers from INEOS gave presentations and educated approximately 50 students about INEOS and a career in manufacturing. 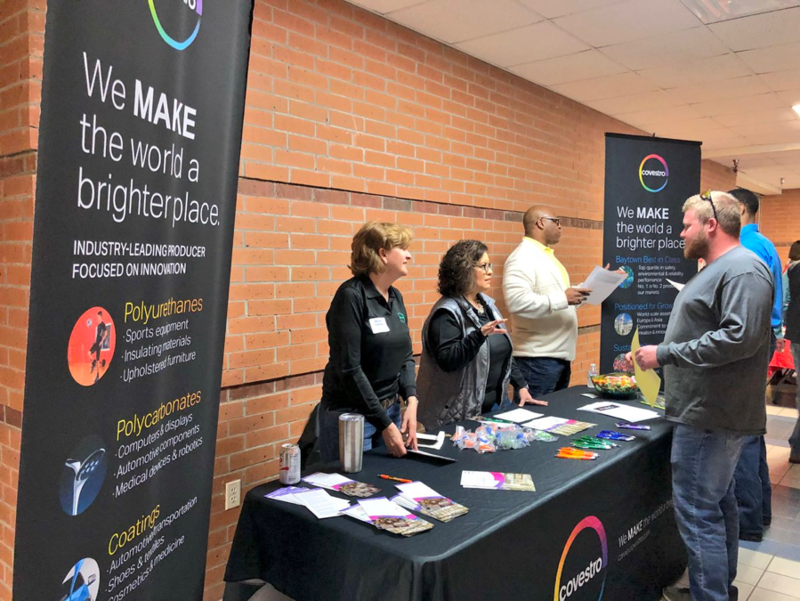 Covestro employees volunteered at the annual “Connect with Industry Career Fair” sponsored by the West Chambers County Chamber of Commerce and Barbers Hill ISD. This free community initiative started in the morning and drew more than 200 attendees as companies from the area helped them understand what kinds of jobs are out there, what kinds of criteria and skill sets industry is looking for, and an opportunity to connect with local industry representatives. 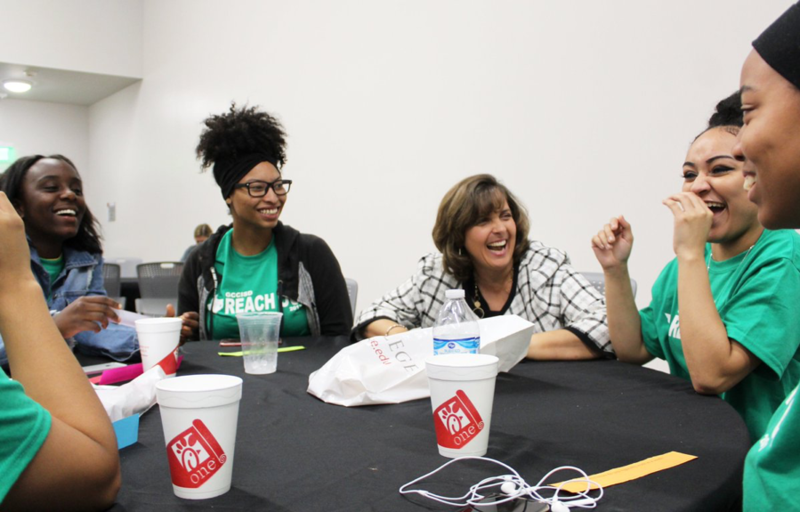 On March 10, Dow and Shell hosted a science competition with the Chemical Education Foundation. Of the 26 students who participated, six are going on to the Texas state challenge in April. A huge congratulations to the 2018 You Be the Chemist Houston Challenge Champion, Alejandro “Alex” Cantu! 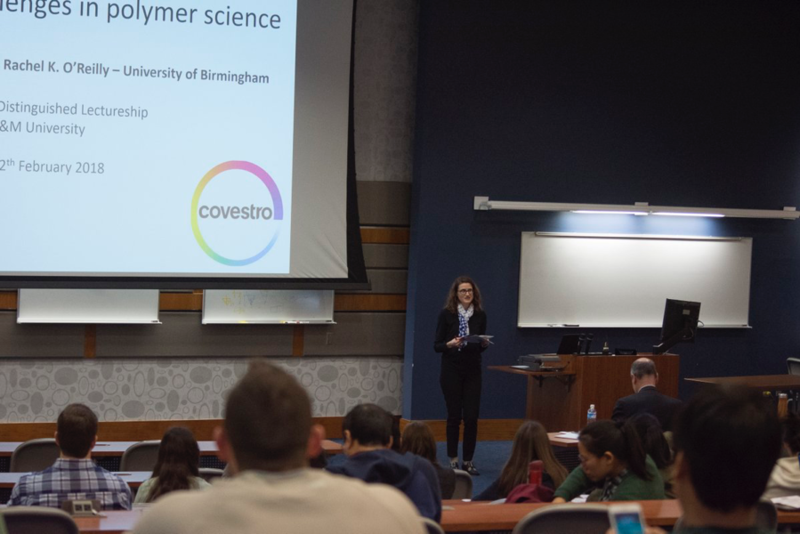 He and five others will compete with students from other regional competitions for a chance to attend the national event in Washington, D.C.
Covestro proudly sponsored the Texas A&M University Covestro Distinguished Lectureship to speak with graduate students about the challenges in polymer science.